Blast! Once again interdomin and I have prepared posts on the very same car at the same time! The World Championship for Drivers was not yet two years old when it faced its first crisis: with the pending withdrawal of the all-conquering Alfa Romeo team for 1952, starting grids would be rather slim. As an answer, the FIA therefore took the decision of running the third Formula One championship season under F2 regulations. This solved the problem, and even allowed for some of the largest fields ever seen in the sports. In turn, this induced a new predicament: most Formula Two cars of the time were built by artisans, most of them from England and, to some extent, from Germany. 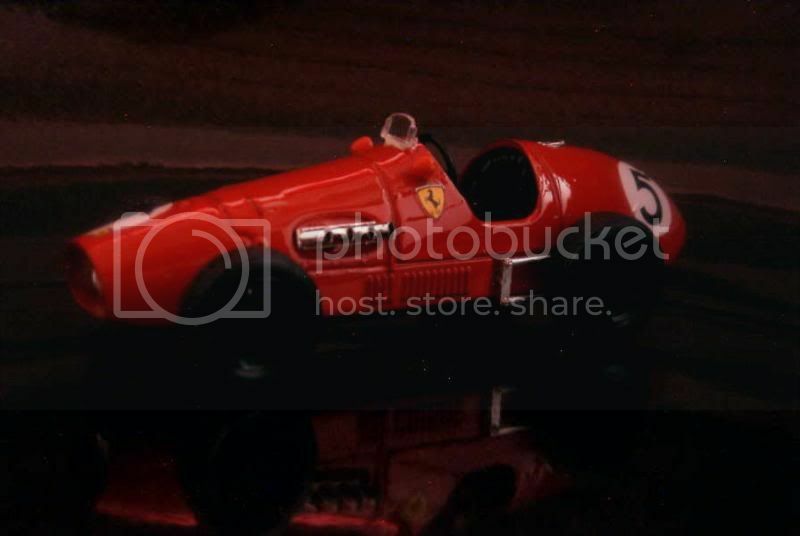 This situation paved the way to triumph for the only serious entrant, Ferrari. The Maranello constructor easily understood the edge on the competition that it enjoyed. The car Aurelio Lampredi designed, the Tipo 500, was extremely conventional; its faultless preparation was to be the key of success over its amateurish rivals. Made of welded tubes, the chassis was of ladder-frame type, a choice that was as predictable as the double-wishbone / de Dion axle front and rear suspension arrangement. Engine was a compact inline four displacing two litres; this light block was rated at a good 185 bhp. Better yet, it was small enough to be placed well behind the front axle, allowing for an excellent weight balance. The car was ready on time to make its debut at the very end of the 1951 Formula Two season, guaranteeing it to be fully developed when the next Formula One season would start. A great car would be nothing without great pilots, and here again the Scuderia, which fielded some of the sport’s fastest and most experienced drivers, seemed to enjoy an advantage. Giuseppe Farina had just arrived from the departing Alfa team, joining forces with Alberto Ascari, Luigi Villoresi and the “Silver Fox”, Piero Taruffi. The two-litre transitional formula remained in effect for two years until the scheduled 2.5-litre Formula One rules came into force in 1954. During these two seasons, Ferrari enjoyed a complete walk over. Out of fifteen Grand Prix, all but the very last one were won by the Scuderia’s cars. Of these, eleven went to the amazing Alberto Ascari, who clinched both championships and set a still-standing record of nine straight successes. The Tipo 500’s career didn’t end with the introduction of the new Formula One rules. Formula Two cars being only at a small disadvantage in terms of performances, they were regular entrants for years to come in F1 events. In this particular case, Ferrari 500s continued to race until 1957, when the very last of them was entered by the Scuderia Centro-Sud – Mimmo Dei’s team would make itself a specialty over the years to enter racers in their faded glory. 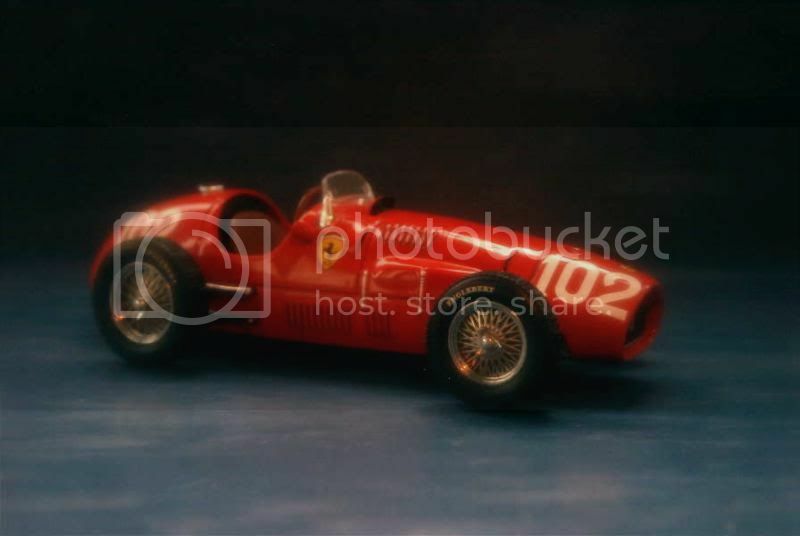 No, Ascari wasn’t the only Ferrari pilot in 1952-53. 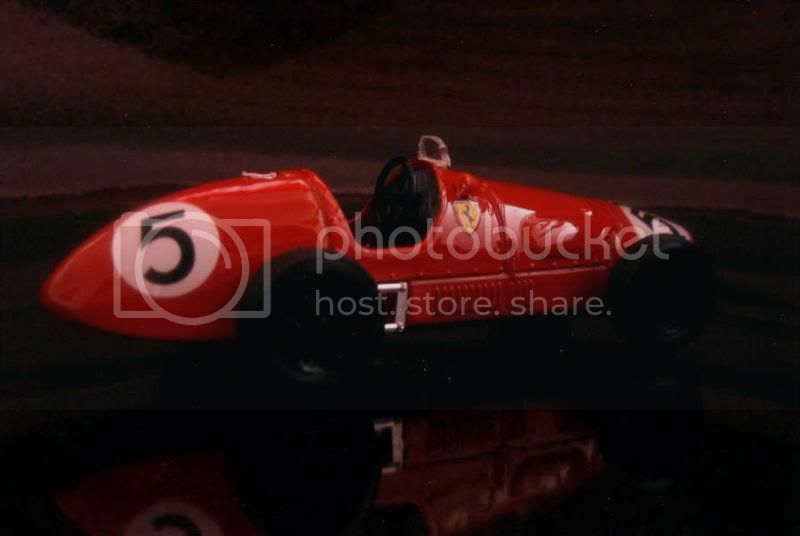 Sure, he took another victory at the Ring (see his winning #101 Tipo 500 on interdomin’s excellent blog), but his teammate Nino Farina, the first F1 world champion in history, clinched the second spot with its sister car – actually, all four first finishers were Tipo 500s. Ixo reproduced this car with taste. Its die-cast isn’t exactly teeming with details, but is well assembled and – an Ixo tradition – seats on beautiful photo-etched wheels. My rating: 14/20. That would usually be all, but there’s more to say about this model. 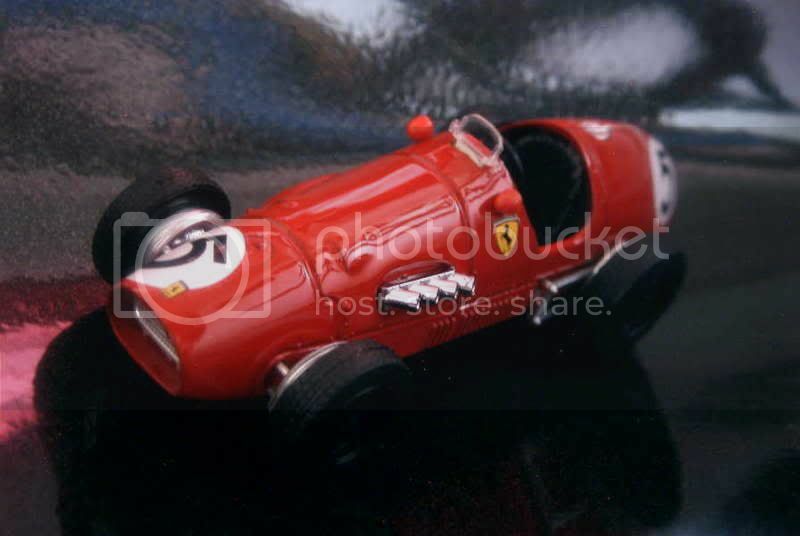 It came to me in an Ixo “Ferrari Collection” box, but without any marking nor reference. Why? I think the answer can be found by comparing the models pictured, for example, on this page with the one on Ixo’s official site. Do you see the difference? Both models are sold in the “La Storia” collection under reference SF11/52, but sport different numbers. 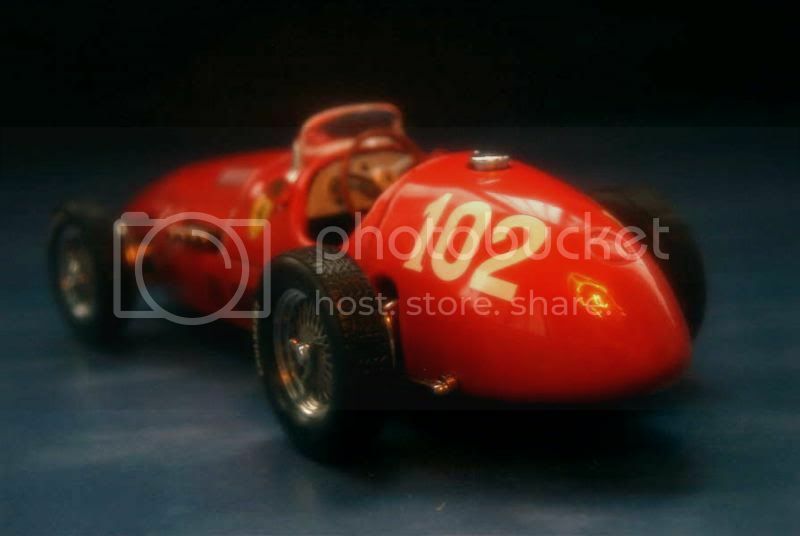 Nonetheless, in both cases they are clumsily advertised as #102... My bet is that Ixo started producing Ascari’s car for their La Storia collection with the erroneous number 102 (as far as I know Ixo’s catalog never included Farina’s car), until someone noticed – whoops! – that the Chinese company could have done well spending a little more time doing basic researches. The mistake was corrected (but not the written presentation on their site) and wrong models (which by chance tally another existing Ferrari entrant) were sold in plain “Ferrari” boxes, fooling buyers in the process as everyone involved in their distribution let prospective buyers believe they buy Ascari’s car. Despite being rivalled by the Maseratis of both Fangio and Gonzalez, Ascari took another win with his Tipo 500 at Silverstone in 1953. The corresponding model is overly simplified, even to Brumm already simple standards. My rating is 8/20. I bought the #102 because I thought that this car was driven by Ascari but... surprise!! Hot Wheels lied me. 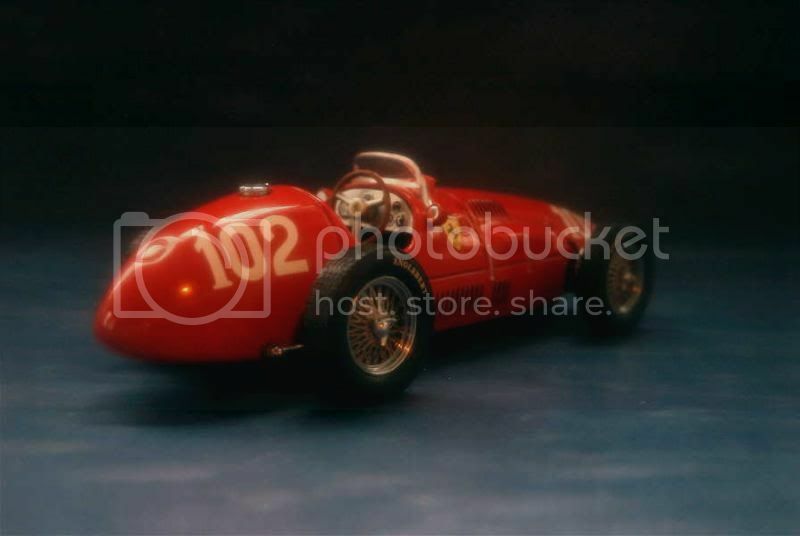 I had to buy the Ferrari #101 made by Ixo Fabbri. The #102 (Hot Wheels) car is better than the Ixo. 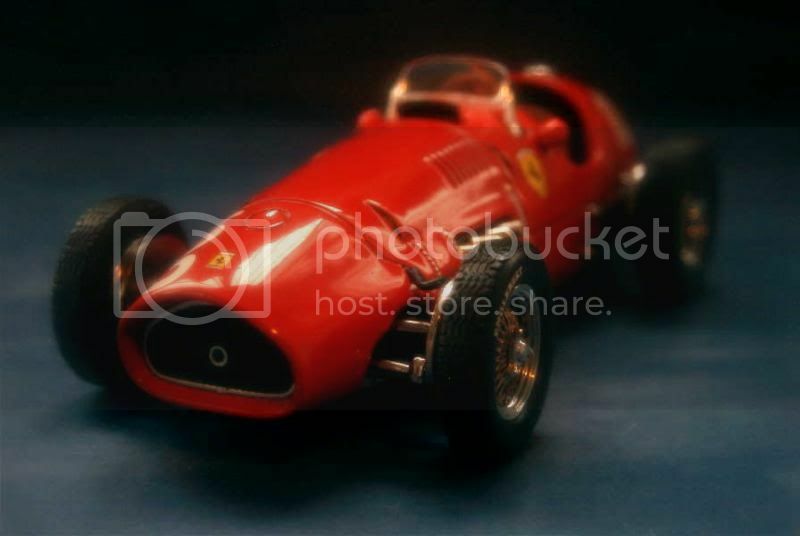 I´m looking for the Ferrari 500 driven in 1953 by Ascari. Which will be your next post? Oh, you're so curious! :lol: I always want to keep this a surprise but I'll make an exception for you: that'll be the BMW C1, on Sept. 16. 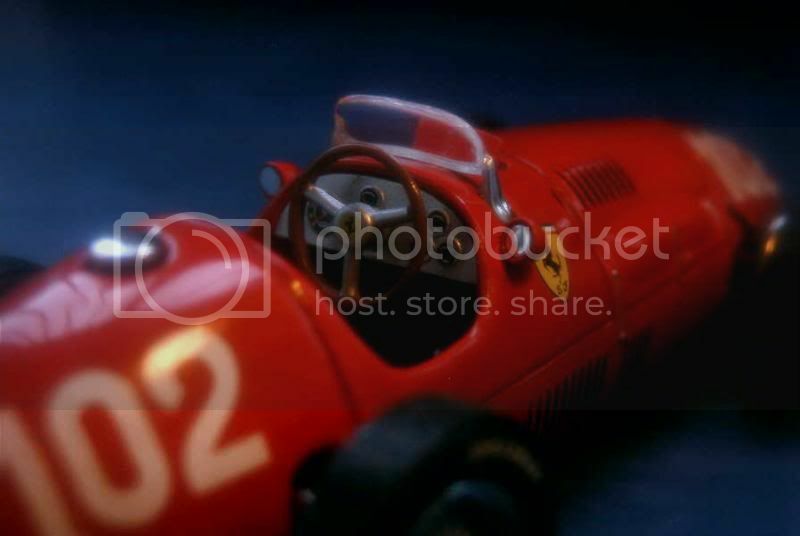 I could never resist vintage race cars and their history, specially Ferraris!! Another great read about a very classic race car, thanks for sharing Lorenzo! Sorry but my others Citroën are two C4 WRC (Loeb y Sordo) and a Xsara WRC (driven by the spanish Chus Puras). 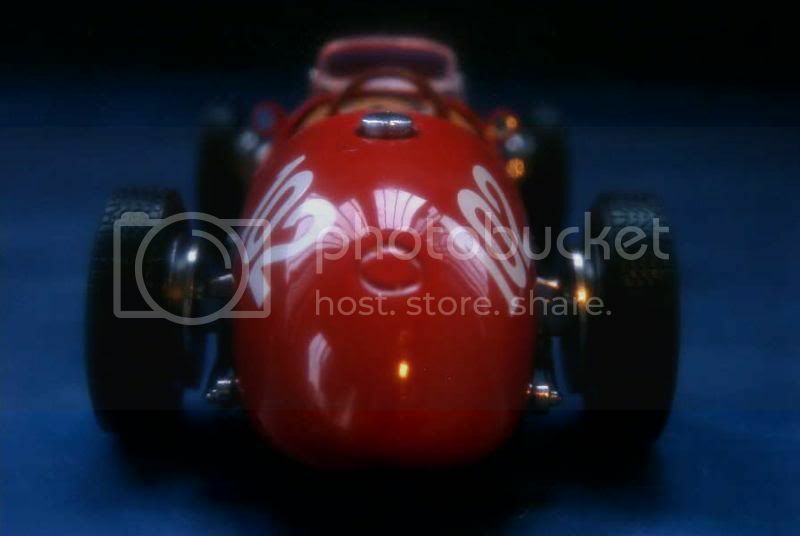 Superb detail & piece of legendary vintage race car. It rules the track back the 50's. Thanks Kin. Indeed, a legend from the early days of Formula One.